Catching up, catching up, catching up. The name of the game at the beginning of the year, after and end-of-the-year that was full of happy, wonderful moments. This past October was full of fun stuff. Two fall breaks that overlapped by a weekend, some day trips and weekend trips and visitors from Ireland and a family night at home and Halloween and an eleventh birthday. (My fave of this set might be the groggy faces of the two college kids on on the iPhone screens — it’s good to be the baby brother when it’s time for your “muffin party” and your two eldest siblings are away at college). But first! 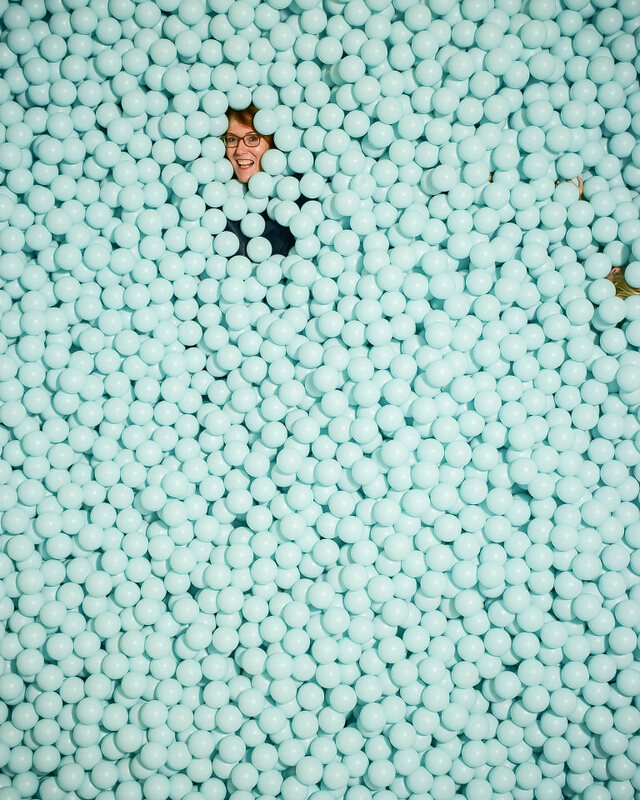 Here’s me in a giant ball pit!